Oregon's 2019 QUALITY DEALER of the YEAR. Arriving Soon. Audi allroad quattro Premium Locally Owned. 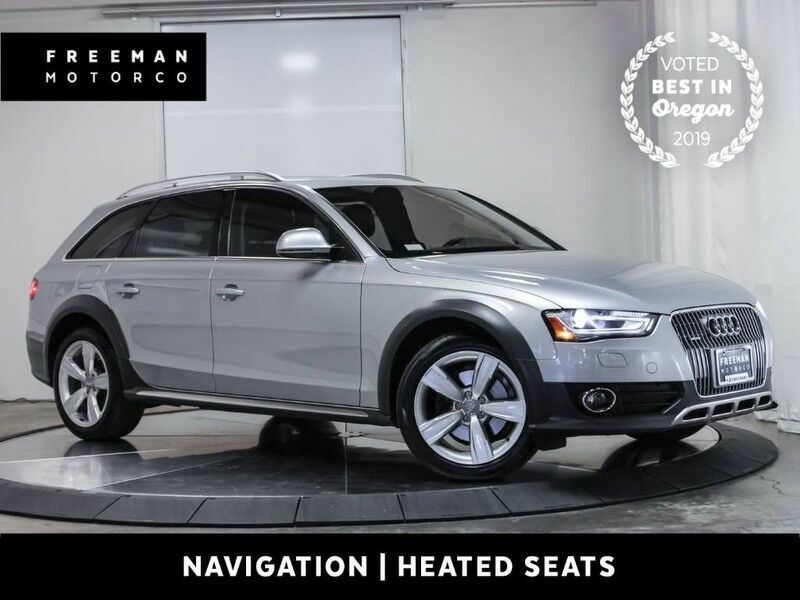 Navigation, Panorama Roof, Heated Seats, Audi Advanced Key, 3 Zone Climate Control, SIRIUS Satellite Radio Capability, Power Tailgate, Audi Xenon Plus Headlights w/ LED Daytime Running Lights & Taillights, and the Protection of Audi's Factory Warranty. The allroad offers the driving dynamics of a sporty Audi combined with the utility of an SUV. Independent review site Edmund's had this to say, "For a shopper looking to split the difference between wagon and crossover, the Audi allroad is an ideal pick with a high-quality cabin, light-duty off-road ability, smooth ride quality, and generous cargo capacity." Come see why the finest European cars are found at The Freeman Motor Company. Please call for additional details and to reserve a priority viewing of this car. Secure hold deposits available upon request. We offer financing options and extended service contracts to add to your peace of mind.